SBEM / SAP / Commercial and Domestic EPC's, in the Midlands. Providing full Commercial / SBEM / SAP, services. Both Level 3 and Level 4 Building Complex's, in addition to Domestic Energy Performance Certificate's. We promise an efficient & effective service while maintaining highly competitive rates. Please feel free to browse our web site for further details on our services. What is a Domestic EPC ? Now legally required, when any home is sold. 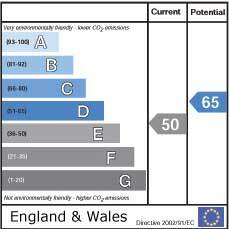 The Energy Performance Certificate is broadly similar to the certificates found on many domestic appliances. A Certificate for a building gives the building an asset rating based on its energy efficiency, but doesn't take into account how the home is used by the occupiers. 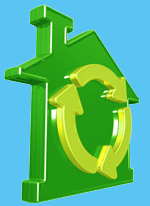 The certificate records how energy efficient a property is as a building and provides A-G ratings. These are similar to the labels now provided with domestic appliances such as refrigerators and washing machines. They are produced using standard methods and assumptions about energy usage so that the energy efficiency of one building can easily be compared with another. This allows prospective buyers, tenants, owners, occupiers and purchasers to see information on the energy efficiency and carbon emissions from their building so they can consider energy efficiency and fuel costs as part of their investment. Our EPC packs comply with all regulations and will be accepted by all Estate Agents and Solicitors, Nationwide. The energy efficiency rating is a measure of the overall efficiency of a home. The higher the rating, the more energy efficient the home is and the lower the fuel bills will be. 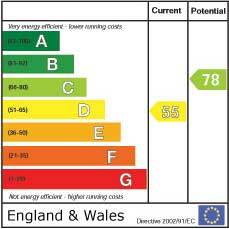 If you are in the Midlands we can help you with getting an energy performance certificate / EPC. Domestic Assessment utilising rdSAP methodology. The environmental impact rating is a measure of a home's impact on the environment in terms of carbon dioxide (CO2) emissions. The higher the rating the less impact it has on the environment. As a leading Energy Assessor in the Midlands we can pass assess NDEA Level 3, Level 4, On Construction. using iSBEM Methodology. Contact Silver Fox Energy now!